Buccaneers running back Peyton Barber’s team-issued tablet was stolen Saturday morning, but team officials say it was wiped clean of information remotely and only had scouting video on it. Court action is under way over leaked Doctor Who footage which has been shared online months before the eleventh series is due to air. An image revealing details of Samsung’s new flagship Galaxy S9 smartphone has leaked online. Exams regulator Ofqual plans to pull this chunk of the qualification from the overall marks. HBO has suffered a cyber attack which saw a Game Of Thrones script stolen and leaked online. Filming of “Game of Thrones” season 6 is well underway. Thanks to the obsessive sleuthing of the fandom and some sneaky paparazzi work by enterprising locals, we already know a lot about what’s in store (including the fact that Jon Snow almost certainly did not stay dead). But we haven’t seen any footage from the set — until now. Los Siete Reinos — Spanish for “The Seven Kingdoms” — posted still photos from the same sequence. They, too, are blurry and shot from afar. But the lack of detail didn’t stop “Game of Thrones” fan site Winter is Coming from speculating that the characters fighting are Ned Stark and Arthur Dayne, and that the woman in white standing near them is Ned’s sister Lyanna. Fans have suspected for some time that season 6 would include the Tower of Joy sequence. Casting calls for the show included a posting for a character called Legendary Fighter, who many believe is Ser Arthur Dayne, a famed Dornish member of King Aerys’s Kingsguard. The casting call said the character “carries a hugely famous sword on his back.” In “A Song Of Ice And Fire,” the book series upon which “Game of Thrones” is based, Dayne wields a sword called Dawn, which was forged, likely from a meteorite, thousands of years ago before the events of the series. The Emmy-winning fifth season of “Game of Thrones” brought the show’s plot nearly to the end of the events depicted in the books George R.R. Martin has published thus far, so even diehard readers are in the dark about much of what will take place in season 6. But the fight at the Tower of Joy is an exception. We got some of the story — or at least Ned Stark’s memory of it many years later — in the first book, A Game of Thrones. The story goes that near the end of Robert’s Rebellion, Ned Stark and six of his companions rode to the castle in the Red Mountains of Dorne, where Prince Rhaegar Targaryen had taken Lyanna Stark after “abducting” her. Rhaegar had named the castle “The Tower of Joy.” When Stark et al. arrived, they encountered three members of the Kingsguard — Dayne, Ser Oswald Whent and Lord Commander Gerold Hightower — guarding the entrance. Here’s where things get really interesting. Before Lyanna died, she made Stark promise something. He never revealed what. But fans think that it concerned Jon Snow — who, the theory goes, was actually the child she had with Rhaegar. The bed was bloody, by this thinking, because Lyanna had just given birth. She made her brother promise to claim that Jon was his own son to keep him safe. There’s a bit more evidence for the R+L=J theory scattered throughout the books. But it all ultimately rests on the Tower of Joy sequence. Which is assumedly why “Game of Thrones” creators Daniel Benioff and D.B. Weiss chose to film the sequence for the next season. It could be their way of confirming, once and for all, the theory that Jon Snow is the son of Rhaegar and Lyanna. It’s still not clear how the sequence will fit into the show. Season 5 began with the first flashback of the series — a childhood memory of Cersei Lannister’s. But everyone present at the fight is dead by the time season 6 starts — except Howland Reed. Many fans believe that Reed — who hasn’t yet made an appearance in the books — will reveal what transpired, and therefore Jon’s parentage, at some point in the last two books. Maybe that’s what will happen in the show, too. But casting info makes it clear that this isn’t the only flashback we’ll see in season 6. So the prevailing theory instead is that Bran Stark will use his mysterious and growing powers to look back in time, and that the fight at the Tower of Joy will be seen through his mind’s eye. The strongest evidence of this theory? Isaac Hempstead-Wright, the actor who plays Bran, was allegedly spotted at the Castillo de Zafra this week. At this point in the series, Bran is in a cave north of the Wall, thousands of miles from Dorne, so there’s basically no way he’s going to travel to the Tower of Joy in person. The bottom line? Jon is the son of Rhaegar and Lyanna. And we’re finally going to get confirmation this spring. (The below email from National Rifle Association (NRA) CEO Wayne LaPierre was forwarded to your humble correspondent, who feels it his civic duty to share with the public, in light of the fact that American kids are accidentally, but quite regularly, shooting themselves, their siblings, and sometimes their own parents). 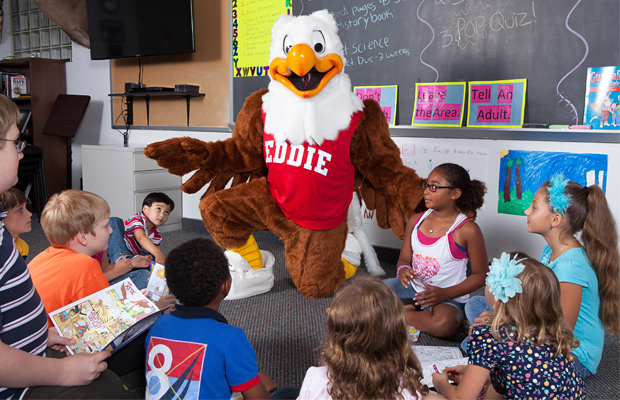 Many of you no doubt recall with great fondness the moment Eddie Eagle, our beloved gun safety icon, first made a landing in your life, either at school or online, especially after his spiffy digital upgrade. For almost thirty years now Eddie has been charming American youngsters, and his catchy firearm safety limerick (“Stop, don’t touch! Run away, tell a grown up!”) is one of the most popular songs in the nation. But while his flight has been a long and distinguished one, this year the sun will gently set on our singing bird of prey. It is with a heavy heart that I share with you all the suspension of our association’s Eddie Eagle Gun Safety program, effective immediately. Despite our best efforts and decades of diligence, the program has, unfortunately, proven to be an abject failure. Almost every day it seems, untrained American youngsters are still getting their precious little fingers on firearms, with tragic consequences (who can forget those unfortunate young parents in New Mexico, or most recently in the Buckeye State, where a 3-year old boy just used his mother’s gun to take his own life). Now for the good news. With Eddie flying off into the sunset, the National Junior Shooter Department has been working overtime on a new program to pick up where he left off, and to correct certain mistakes made in the past. With Eddie Eagle we tried to teach vigilance, but I regret to say he also taught fear. In his naivete, Eddie may have unwittingly made young Americans afraid to bear arms, and that’s a mistake I’ll never forgive myself for — a mistake we’re going to correct. The National Rifle Association will no longer be in the business of scaring American youngsters. Instead, we’re going to arm them. With knowledge. 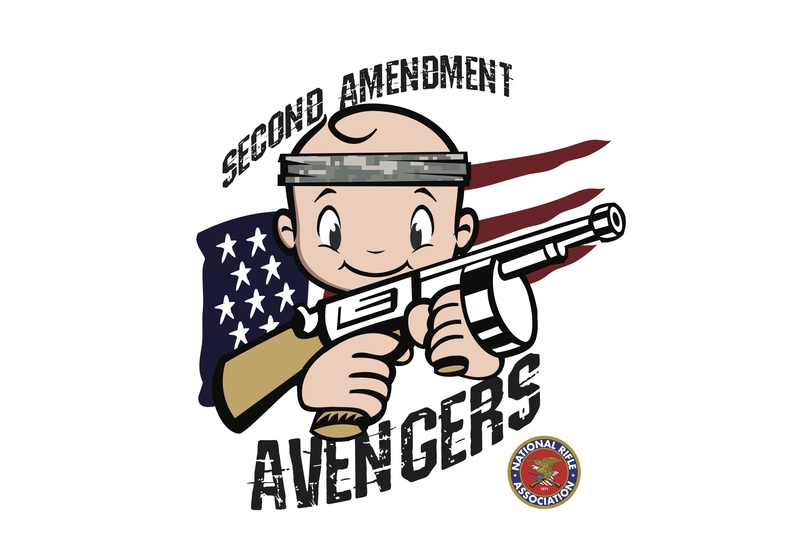 Our new training program, Second Amendment Avengers™, will teach a new generation of young Americans to be proud of their Constitution again. The new program will no longer abide by the fallacy that young Americans curious about their second amendment rights should be told to “run away” from firearms. After all with over 300 million guns in homes all across this country, and gun sales through the roof, if American youngsters had to run every time they found a loaded weapon, they’d never get a moment’s rest! Instead we’ll offer a rigorous curricula with a focus on marksmanship, urban combat, second amendment history, terrorism avoidance, and of course, gun safety. With regular online and interactive pop quizzes, we will teach the nation’s youth to know the difference between an AR and an M4, a TEC-9 and a Taurus 9MM. We’ll be rolling it out this fall in major school districts nationwide, as well as in eligible day care centers and preschools. The minimum age of enrollment is two years old. One of the most exciting features of the program is a partnership with Machine Gun America, Orlando’s delightful new armed and loaded amusement park (watch out Disney, you’ve got some competition!). The park will host our young Avengers on chaperoned field trips, where they’ll be given the opportunity to test their sharp shooting skills against real targets! It is, truly, morning in Machine Gun America. After all, we can’t afford to tiptoe around anymore; Lord only knows what kind of gun grabbing bureaucracy Hillary Clinton is cooking up at her campaign headquarters in Brooklyn. In all fairness Eddie’s “Stop, don’t touch!” tune served it’s purpose, but this new, terrifying era demands a more muscular curriculum for our youth. The new tune our Second Amendment Avengers™ will be singing along to is, “Stop. Stand your ground. Ready. Aim for the head!” Millions of young American firearm enthusiasts will finally receive the training they deserve, to protect their parents, themselves, and their freedom. This is an emotional moment for many of us, and Human Resources has made arrangements with a grief counselor who will be available all this week to discuss any feelings of discomfort or loss related to Eddie Eagle’s sudden departure. But mostly I hope you share my excitement about this new direction for our association, and the youngsters of America. Just think of the many young lives we’ll save! We can’t stand by while one more precious angel goes to heaven after mishandling a firearm, just to protect our second amendment rights. That’s simply not who we are. P.S. Later this evening some of us will be saluting Eddie Eagle’s last flight and sharing some of our personal favorite “Eddie stories” at O’Ryans over on Lee Highway. I hope you’ll join us! P.P.S. This is clearly a work of satire, inspired by a new play exploring American gun culture, Bullets Over Preschool, premiering in New York City on June 19th.